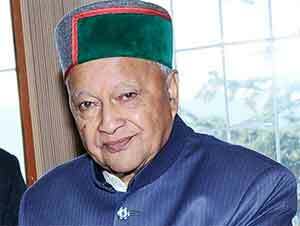 Shimla: Annoyed over the delay in the construction of All India Institute of Medical Sciences (AIIMS), the Himachal Pradesh, Chief Minister Virbhadra Singh was recently seen slamming the central government and asking the reason behind the delay in the construction of AIIMS. The minister pointed out the although the state government has allotted and provided the land for construction of AIIMS as per the requirement of the Union Health Ministry, the project is still not completed. Speaking at a public meeting in Bilaspur district, he further alleged the union health minister JP Nadda has not approved the project due to his political issue as he first wants to become the Chief Minister. While the state government claimed that the central government has not issued notification for setting up the AIIMS, BJP centre blamed the state for the delay in allotment of land. “Nadda is keen to take credit for awarding AIIMS to the state. For this reason, he wants to start the construction of AIIMS only when his party BJP comes to power,” said a BJP leader. State Health Minister Kaul Singh has said the central government has not issued notification for AIIMS and the BJP is unnecessary misleading people to get political mileage. He said the Chief Minister has taken up this issue with Prime Minister Narendra Modi thrice but no response has been received from the central government. Medical Dialogues team had earlier reported that Himachal Pradesh Chief Minister Virbhadra Singh called on Union Health Minister J.P. Nadda and sought early setting up of an AIIMS hospital in the state.